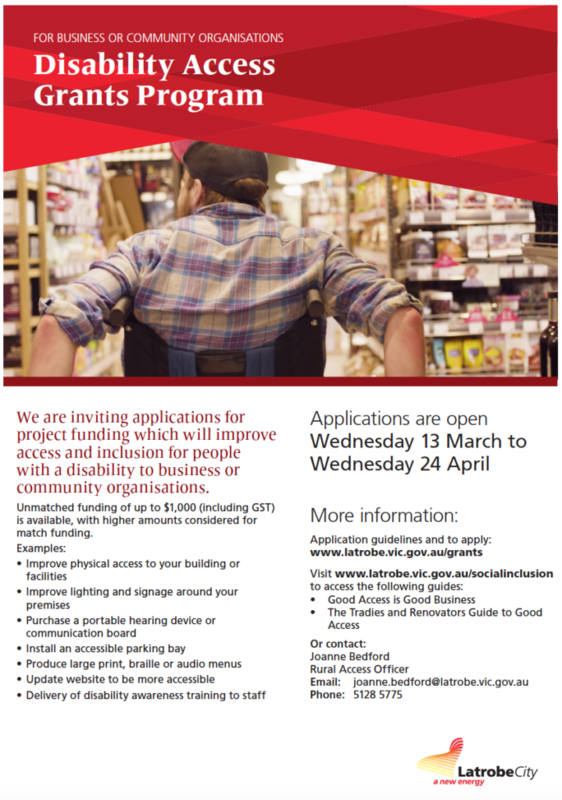 Latrobe City are inviting applications for project funding which will improve access and inclusion for people with a disability to business or community organisations. Unmatched funding of up to $1,000 (including GST) is available, with higher amounts considered for match funding. This entry was posted in Gov Grants, News on March 29, 2019 by Nicole Osbourne. The Latrobe Valley Sport and Active Recreation Participation Initiative provides seed grants of up to $75 000 with the key objective of increasing participation rates for targeted population groups that are currently under represented in sport and active recreation in the Latrobe Valley, which incorporates the Wellington Shire, Latrobe City and Baw Baw Shire. 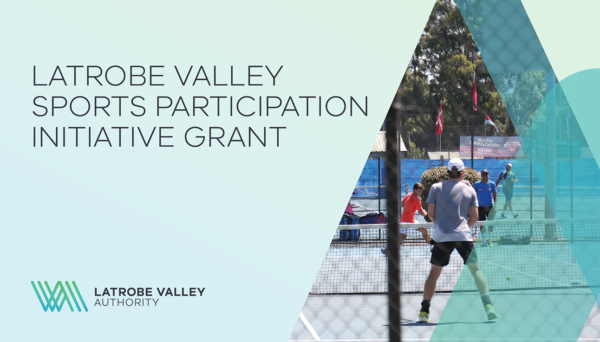 This participation initiative encourages the development of strategic partnerships to co-design and deliver innovative community projects that increase and sustain inclusive participation in both organised and informal sport and active recreation in the Latrobe Valley. This entry was posted in Gov Grants on June 21, 2018 by Nicole Osbourne. The World Game Facilities Fund is a Victorian Government funding program that assists local football (soccer) clubs and organisations to upgrade existing or develop new facilities across metropolitan Melbourne and regional Victoria. The fund aims to support local football (soccer) clubs and organisations, with grants of up to $250,000 for projects such as lighting, pitch redevelopments, synthetic pitch developments and unisex accessible change rooms. projects that result in energy or water efficiency, such as warm season grass conversions. Clubs and associations can apply for funding by submitting an Expression of Interest to their local council and this should be discussed and completed as soon as possible. This entry was posted in Gov Grants on March 26, 2018 by Nicole Osbourne. This entry was posted in Gov Grants on May 31, 2017 by Ryan Evans. This entry was posted in Gov Grants on May 23, 2016 by Ryan Evans. The Country Football and Netball Program provides funding to assist country football and netball clubs, associations and umpiring organisations to develop facilities in rural, regional and outer metropolitan locations including: change room facilities for players and umpires of both genders; development or upgrading of football playing fields; development or upgrading of netball facilities; and development or upgrading of lighting facilities. Clubs and associations can apply for funding by submitting an Expression of Interest to their local council and this should be discussed and completed as soon as possible. Up to $100,000 is available and applications close on 3 June 2019 with the Department of Health and Human Services. This entry was posted in Gov Grants and tagged football, funding, Gippsland, grants, netball on November 18, 2015 by DanP.